You name it, Travis Pastrana has done it. Motocross? Yep. Rally? Yep. Back flips and front flips on motorcycles? Yep. NASCAR? Yep. He's an adrenaline junkie of the highest order. And now he's here to answer all of your questions. 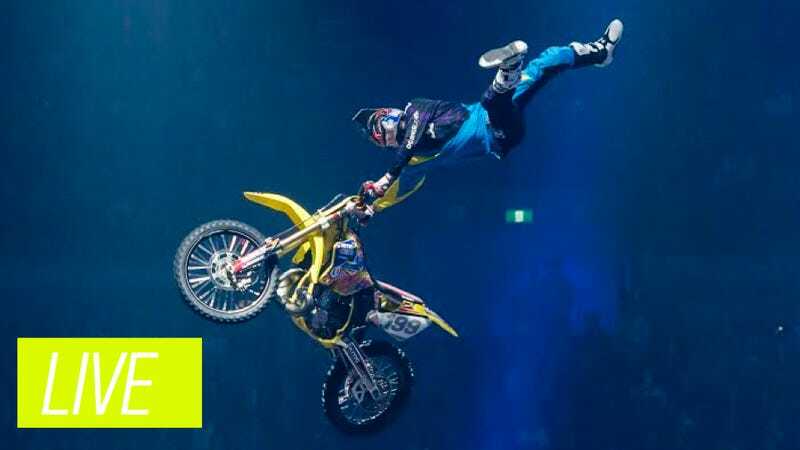 And in preparation for the next Nitro Circus tour, Travis is here to answer anything you want about his crazy lifestyle and why he does exactly what he does. The tour starts next year, but tickets just went on sale yesterday at Nitro Circus's website. Get them now. Travis will be here from about 3:15 until 4, so start asking those questions now!